San Francisco and Oakland Helicopter Airlines filed a request with the Civil Aviation Board to start service to SJC. 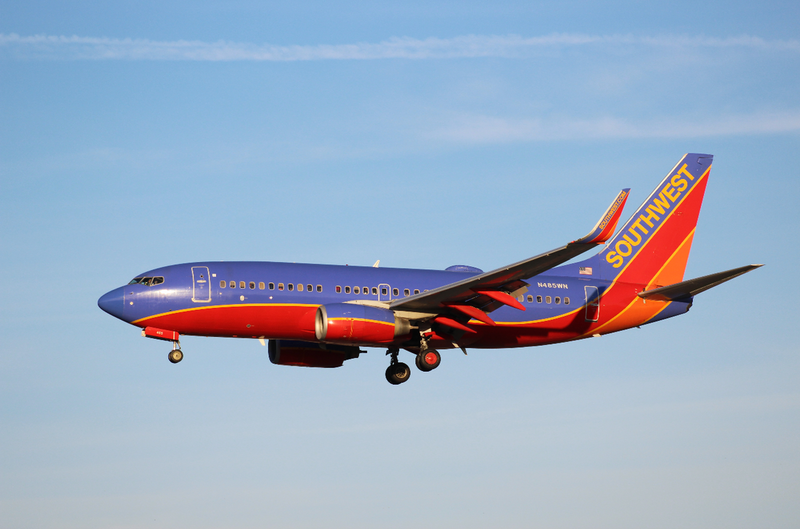 The following year, both Pacific Southwest Airlines (PSA) and Air California filed for the SJC-LAX route. PSA started the first jet service May 1966, and by the end of the month they had carried eight times more passengers than Pacific Airlines (the renamed Southwest Airways). Under the leadership of Nissen, the airport was operating in the black by 1965. Most traffic at the time was general aviation, which used the 40 T hangars, 24 hangars, and 14 aircraft shelters at the airport. 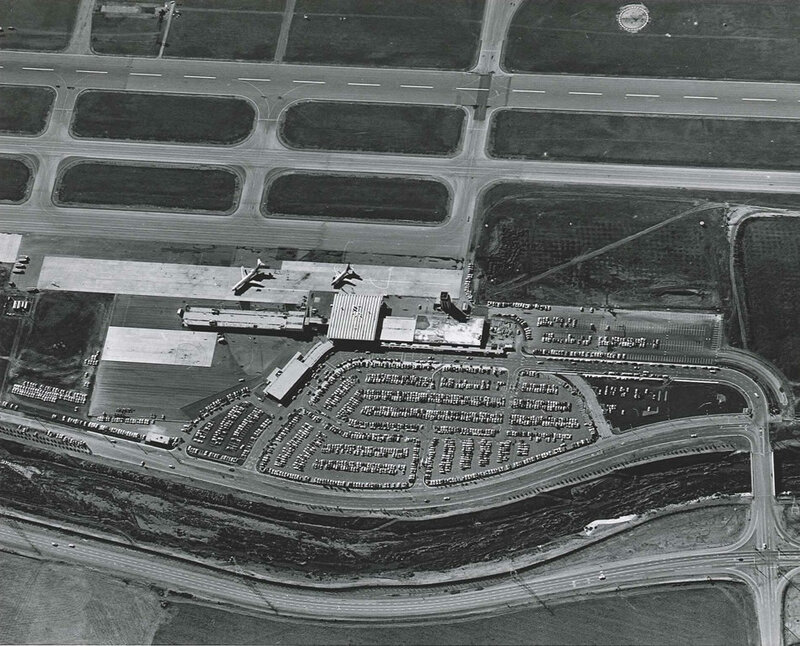 Over 348,000 aircraft movements in 1965-1966 made SJC the 9th busiest FAA regulated field. In addition to aviation, the airport operated a pear orchard. In 1967, Air California began service to Orange County. Shortly after, American, Delta, TWA, United, and Western were approved by the CAB to begin service to SJC, as long as the destination was already served to SFO. The FAA awarded the SJC tower as the best “in the 11 western states” for safe and efficient operations. In 1968, San Jose carried a quarter of SF Bay Area airport passengers and passenger traffic surpassed one million. United Airlines began flights to San Jose in 1968, with 727s flying to Chicago and Denver and DC-8 service to New York-JFK. In response to the large increase in traffic, a pier named the South Concourse was added to the Terminal with 6 extra gates. The next year, a ticketing concourse was added to the north. Ernie Renzel began his position as airport commissioner, serving until 1977. 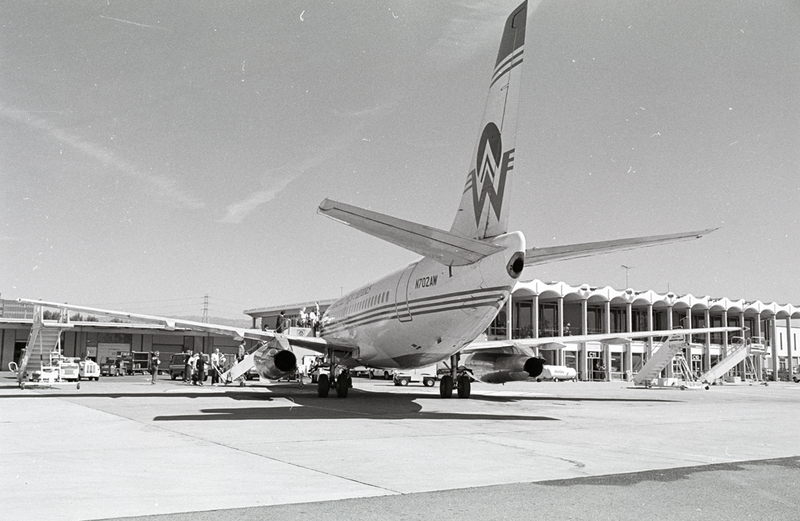 In 1970 Western Airlines began flights to SJC. 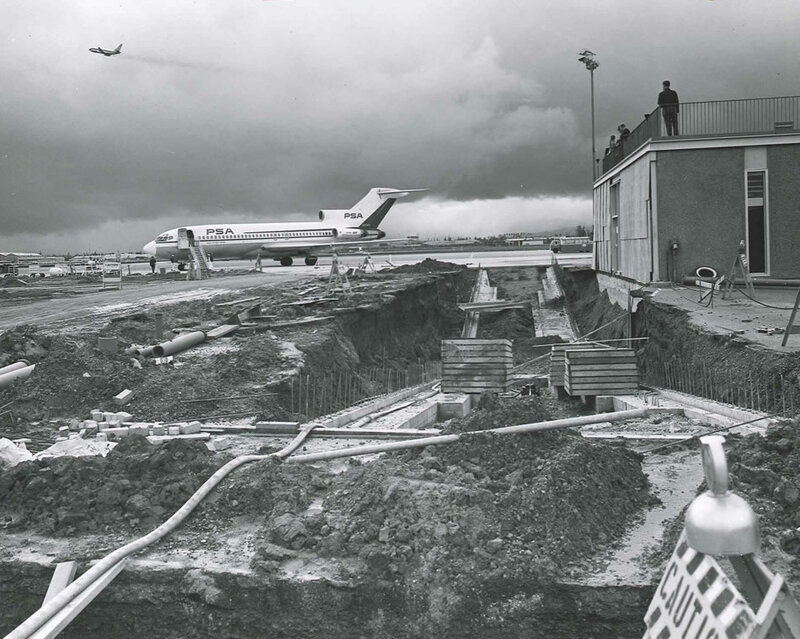 The opening of the North Concourse in June 1971 also coincided with an Air Transportation Exposition, in which Western brought over a 707 and United displayed a 747, the first time a 747 had ever arrived at SJC. A dedicated general aviation runway, runway 11-29 was added in the early 70s. In 1977, a new mural adorned Terminal C. Crafted by Millard Sheets, the 20 by 30 foot mural commemorated the 200th anniversary of the founding of the city of San Jose and the 125th anniversary of the city newspapers. The passing of the Airline Deregulation Act of 1978 affected airline operations at San Jose during the 80s, and even more so in the 90s. A few airlines, such as America West and Hawaiian arrived, but it wasn’t until the 90s when traffic diversified greatly. 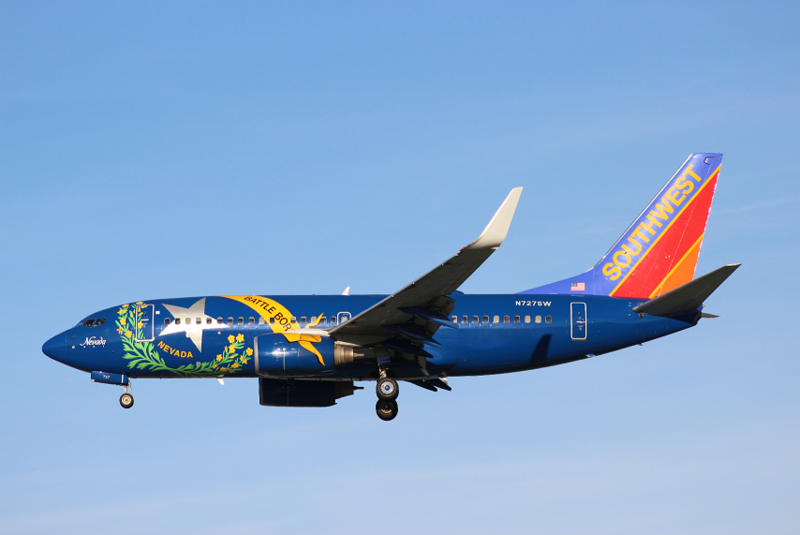 One of the first post-deregulation carriers to start flying to San Jose was Phoenix-based America West Airlines. In this early 1980s view, passengers board Boeing 737-130 N702AW (msn/ln 19015/4) with the 1965-built terminal visible in the background. 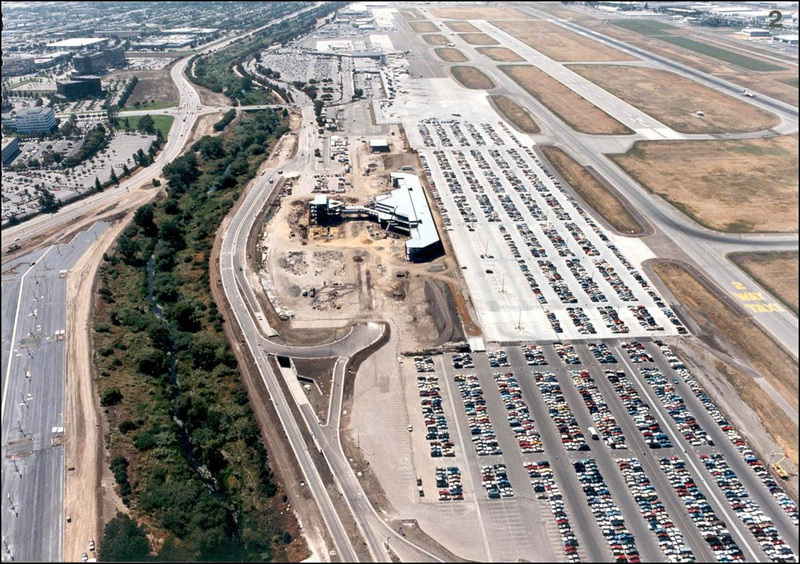 San Jose started the Airport Noise Control Program in 1984, though it had already started noise abatement procedures in 1967. These included: nighttime curfews, home insulation, and steeper approaches. The city of San Jose also started to purchase homes to the south of the airport without FAA funding (the city of San Jose was later reimbursed). San Jose Municipal also changed its name to “San Jose International Airport” the same year. There were other changes to operators during the 1980s. 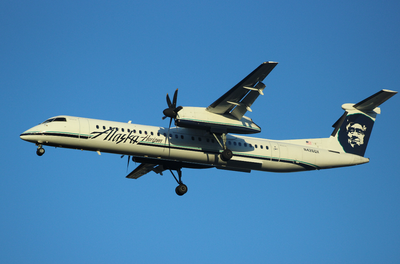 Western was taken over by Delta and Alaska Airline expanded into the lower 48. 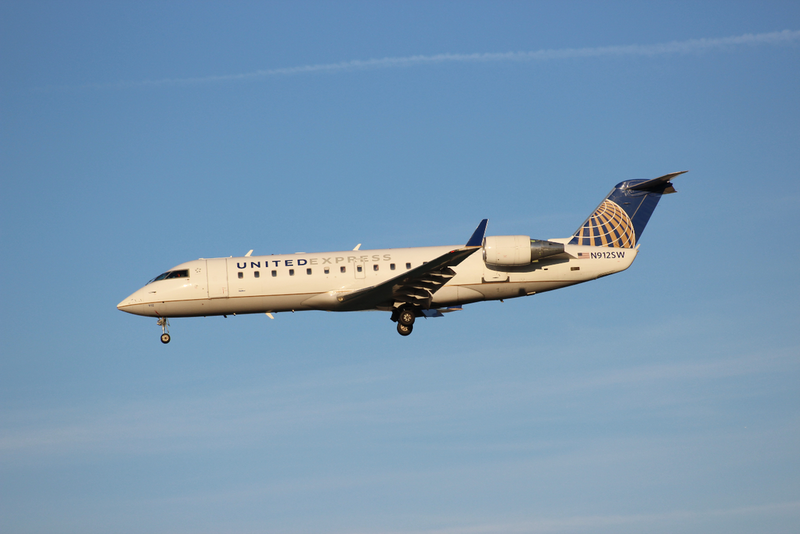 The biggest change in operators however was the loss of the airport's two largest airlines - AirCal and PSA; both swallowed up in the merger mania by American Airlines and USAir respectively. To satisfy the needs of increasing traffic, Terminal A was added in 1990. Combined, the airport could handle 6 million passengers annually. By the 90s, SJC traffic was exploding (the dot-com boom) with a plethora of airlines serving San Jose; AirCal and PSA were gone, but airlines like United, Continental, Alaska, Delta, TWA, American, America West, and Hawaiian continued to serve SJC. 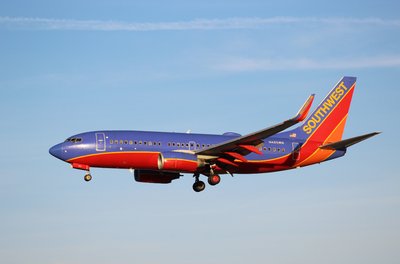 Southwest Airlines began service to SJC in June 1993. The low cost airline Reno Air entered the scene and even made SJC a hub. At the end of the decade, American purchased Reno Air, but still continued to operate the former Reno Air MD-80s and 90s to San Jose until 2001. Meanwhile, American too built up a hub, with service that seems to fit SFO, not SJC! American started service to Tokyo (Narita) initially using DC-10s, then MD-11s, and finally Boeing 777-200s. 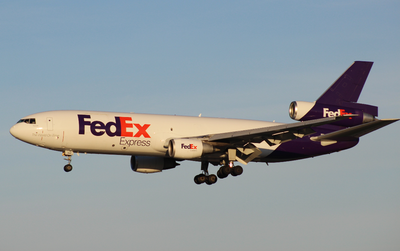 Transcontinental service to JFK, BOS, ORD, and DFW included DC-10s, MD-11s, and 767-200s; Hawaiian service to Kahului and Honolulu consisted of 757-200s; and American even started service to Taipei and Paris before 9/11, using the 777-200 and 767-300 respectively. SJC’s location to the Silicon Valley and lower fees appealed to those needing charter aircraft. 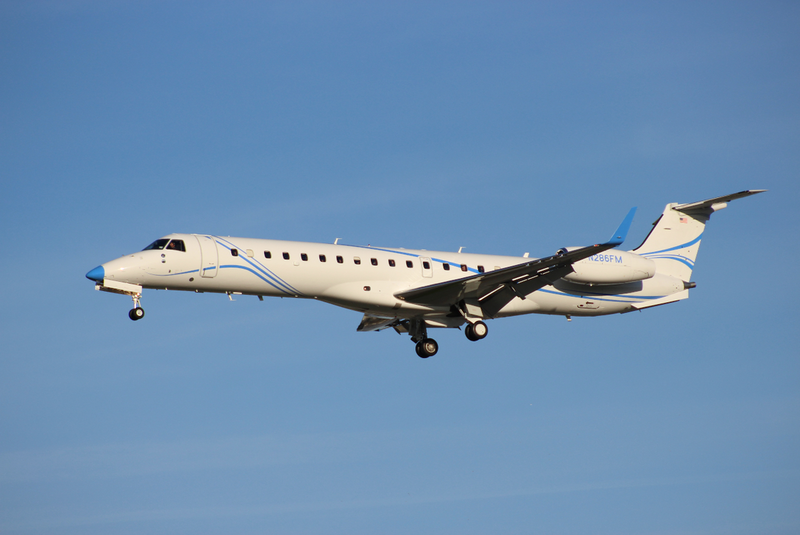 Airlines from AV Atlantic to Viscount Air Service arrived every so often, usually transporting casino-goers, sports players, or company executives. Even today, a considerable portion of SJC traffic is charter. On top of this, both obscure and well known cargo airlines started service to San Jose. Some, like BAX Global and Airborne Express operated for years, while others like Roadway Global Air and MAS Air Cargo were mere charters. By 2000, SJC was at its peak at 14.2 million passengers transported. But, this was all to change. The dot-com bubble burst in 2001-3 and the September 11th attacks wreaked havoc on SJC. Traffic fell over four million, with a total of 10.2 million passengers in 2002. American cut flights from SJC to Paris and Taipei, along with BOS and JFK. 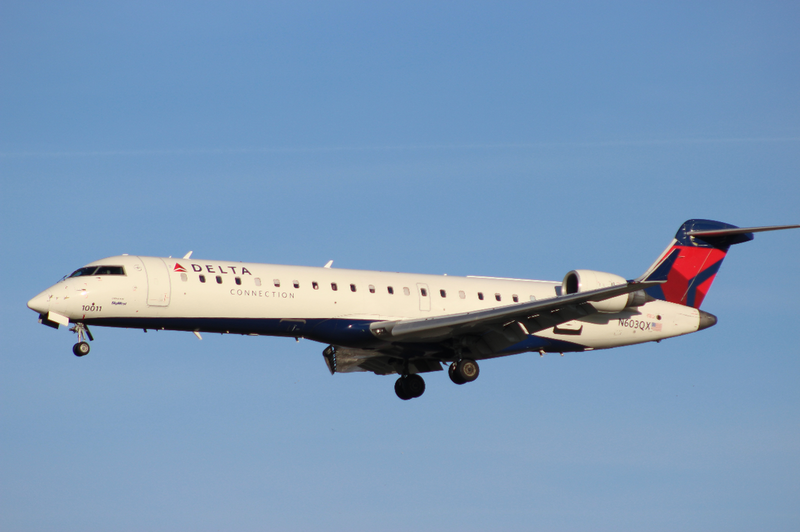 American still operates SJC-ORD and SJC-DFW, but with MD-80s and newer narrow-bodies. 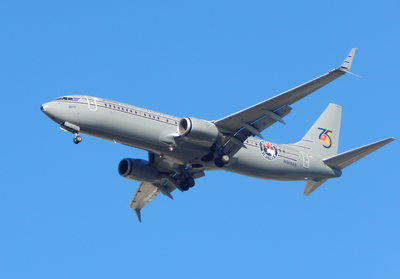 The Reno Air fleet was sold and SJC was no longer a hub. The airport was renamed to “Norman Y. Mineta San Jose International Airport” in 2001, for Norman Mineta was “instrumental in obtaining vital federal funds for San Jose’s airport.” In 2003, the terminal complex was named after Jim Nissen and the airfield after Ernie Renzel, the Father of the Airport. In 2010, Terminal B opened, filling in the massive empty space between Terminal A and C. But this was not to last; Terminal C was demolished the same year, and the area is now a parking lot for Terminal B. Terminal A was renovated and a new rental car center opened. Construction of the last parking lots finished the following year. Currently, San Jose is the third busiest Bay Area airport in terms of passenger traffic. Southwest dominates the airport, but even then, it rarely uses more than five gates at one time. Cargo traffic fell tremendously, but UPS and FedEx still serve San Jose. On the other hand, SJC has plenty of space for any increase in traffic. 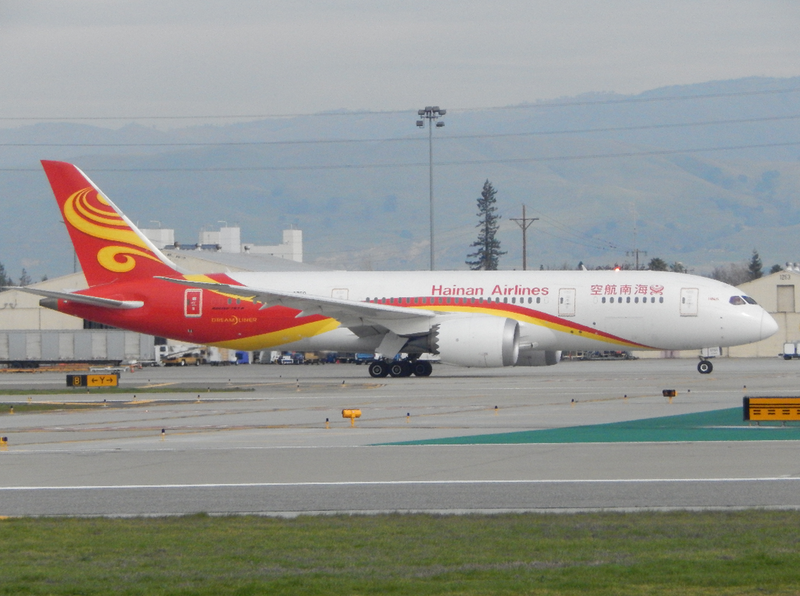 It's not all gloom however as San Jose has recently attracted the attention of Hainan Airlines with a direct Boeing 787-8 service to China. The European carriers Lufthansa and British Airways have announced plans for transatlantic routes, Air China has announced service to Beijing, and Air Canada Express will restart service to Vancouver. Below are a selection of recent traffic shots by the author.